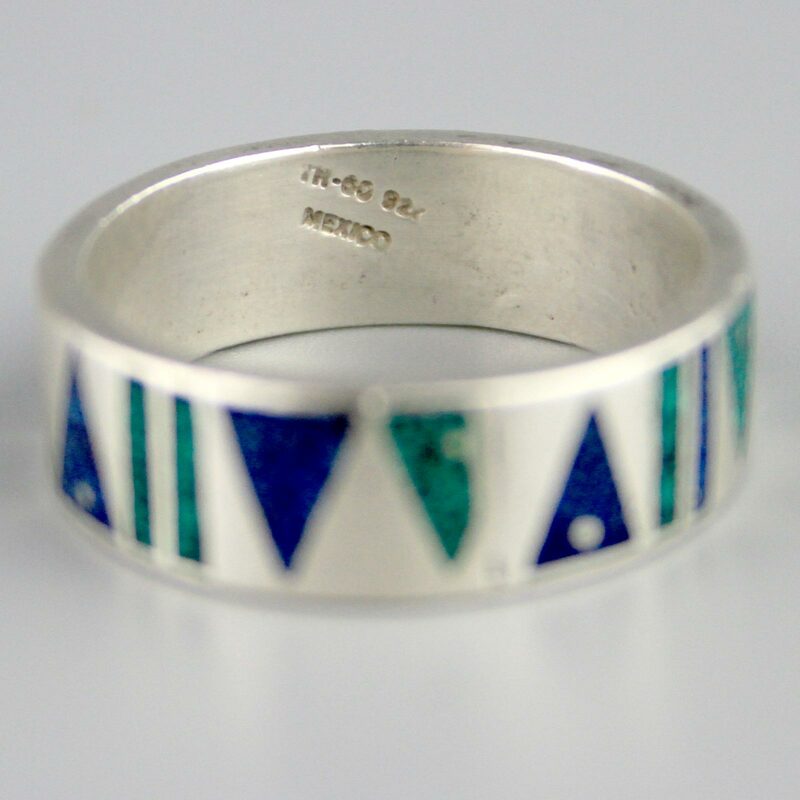 Vintage sterling silver handmade in Taxco, Mexico ring. 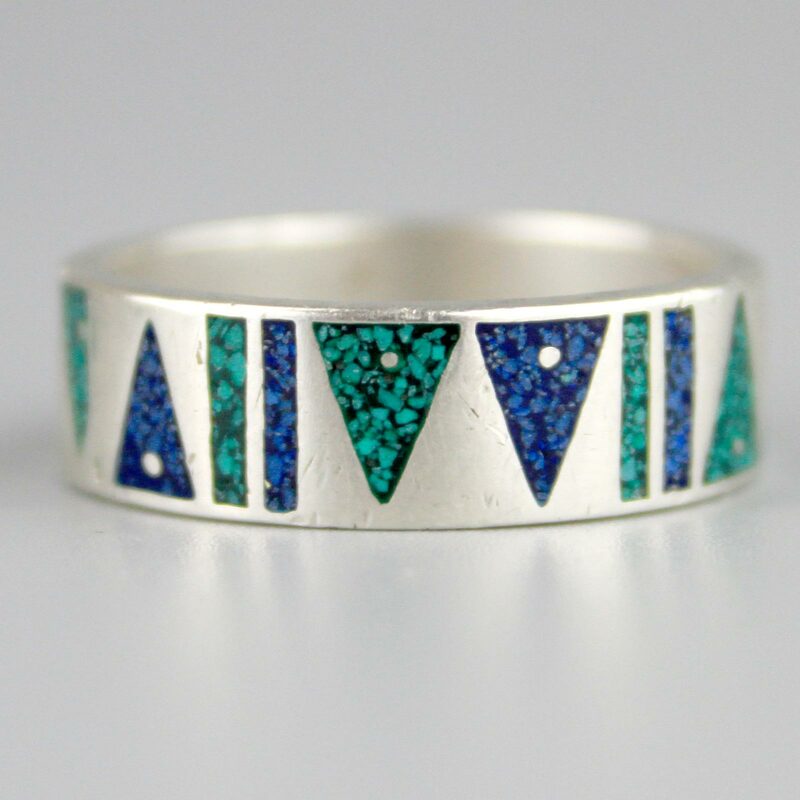 A sturdy gauge of silver with turquoise chip inlay in resin. 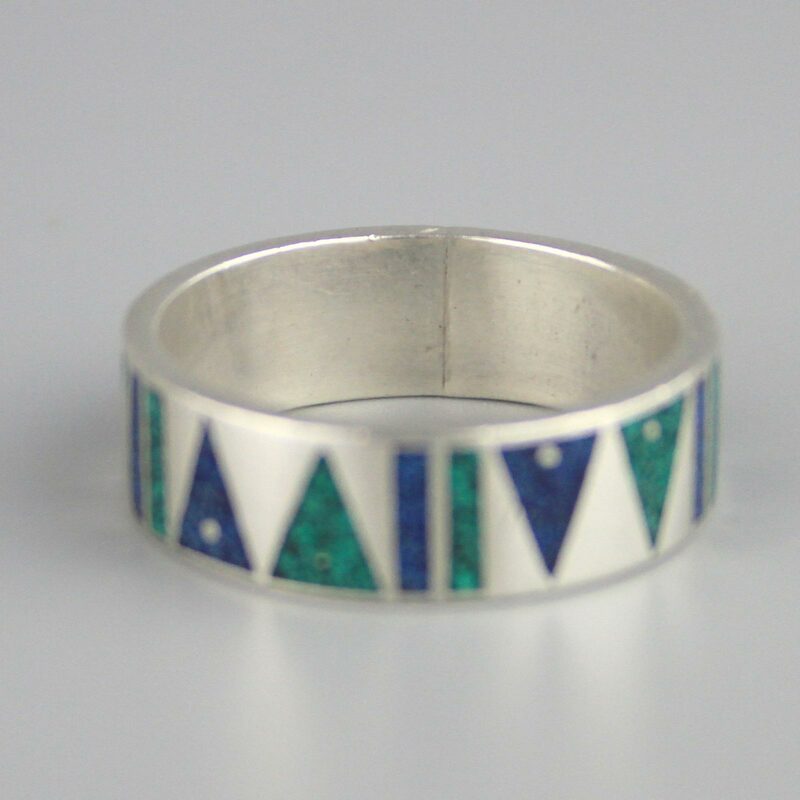 Nice quality ring in rare, larger size. Spectacular vintage condition. Shows mild wear commensurate with age, no dings or chips, will come with some patina, as level of polish is a matter of taste. 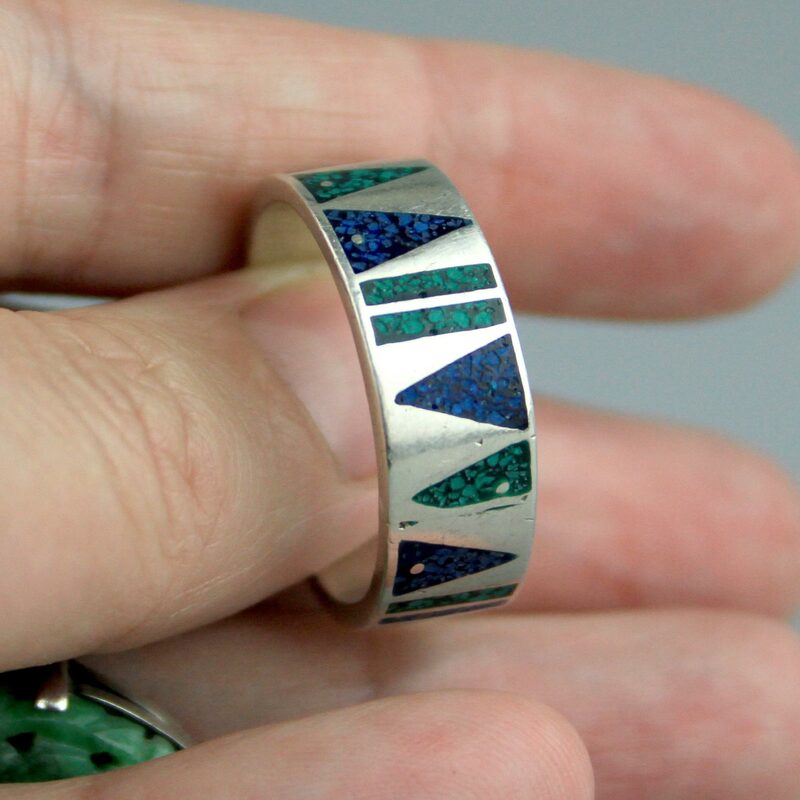 May have been resized at some point. Has a handcrafted look to it - amazing vintage piece.